According to IRJ Pro Project Monitor, 39 projects are due to be completed across Africa in the next four years. Most activity is in the main line and light rail segments with 14 and 13 projects respectively and a total of nine metro/monorail projects are due for completion. Over a third of the total projects are due to be completed in 2019. Five light rail projects are due to be completed in 2019, accounting for a third of projects on the African continent for the year. These include the 14.2km Mostaganem LRT Phase 1 in Algeria. The project was originally slated for completion in 2017 with the construction contract being signed in 2013. Spanish group Corsan-Isolux was responsible for the implementation of the $US 222m contract. However, the Algiers metro company (EMA) terminated the contract in October 2018 under Algeria’s public procurement law and supplanted Corsan-Isolux. Completion of the line is now expected in autumn this year, with Alstom supplying rolling stock. Three of the seven main line projects scheduled for completion in 2019 are in Algeria and a further two are in Nigeria. One of the more notable main line projects is the new Lagos - Ibadan railway which will span 156km and cost $US 1.6bn to develop. Mr Fidet Okheria, managing director of Nigeria Railway Corporation, says that it is expected to be commissioned in May. Three metro projects are expected to be completed in 2019. One of the most notable is Cairo’s Metro Line 3 Phase 4A which will run between Haroun and El Nozha. The project includes the construction of 5.15km of new line and five underground stations. Once open, Phase 4A is expected to boost the line’s ridership to around 750,000 passengers per day. A consortium of Colas Rail, Orascom, and Arabco are responsible for infrastructure and Alstom is providing power supply, electromechanical equipment and ventilation systems for the project. Cairo’s metro Line 3 Phase 3 a 17.7km line from Haroun - Cairo International Airport is also expected to be completed in 2019. The Awash - Weldiya standard gauge railway, a northward extension of Ethiopia’s new standard-gauge network, is also due for completion in 2019. 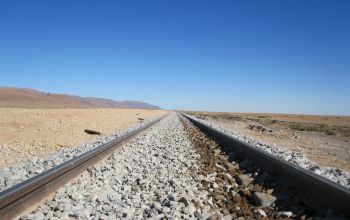 The aim of the project is to connect northern Ethiopia with the Addis Ababa - Djibouti railway, connecting with the Port of Djibouti. The total project is estimated to cost around $US 1.7bn. The first phase of Dakar’s Regional Express Train (TER), a core component of Senegal’s emerging policy framework, is expected to be commissioned in mid-2019, and completed in 2020. The 57km standard-gauge main line will have 14 stations and run from Dakar city centre to Blaise Diagne International Airport. Alstom is supplying a fleet of 15 Coradia electro-diesel multiple units for the new line and SNCF-Keolis and RATP Dev will operate and maintain the line under a five-year contract. Casablanca tram Line T3 is due to be completed by 2021 and will be 14km from Salmia to Casa-Port. The line will serve 20 stations and will include five interchanges with other LRT and BRT lines. Mauritius Light Rapid Transit (MLRT) is also expected to be completed in 2021 after beginning construction in March 2017. The 26km line will connect the island’s capital Port Louis with the town of Curepipe, serving 19 stations. Larsen & Toubro (L&T), India, was awarded a $US 600m design-and-build contract for the project in July 2017. For detailed data on project and fleet orders around the globe, subscribe to IRJ Pro.